To be ICT centre of excellence in the region by 2020. We strive to lead in the invention, development and training of the industry's most advanced information and communication technologies that contributr to the socialeconomic development in the region. 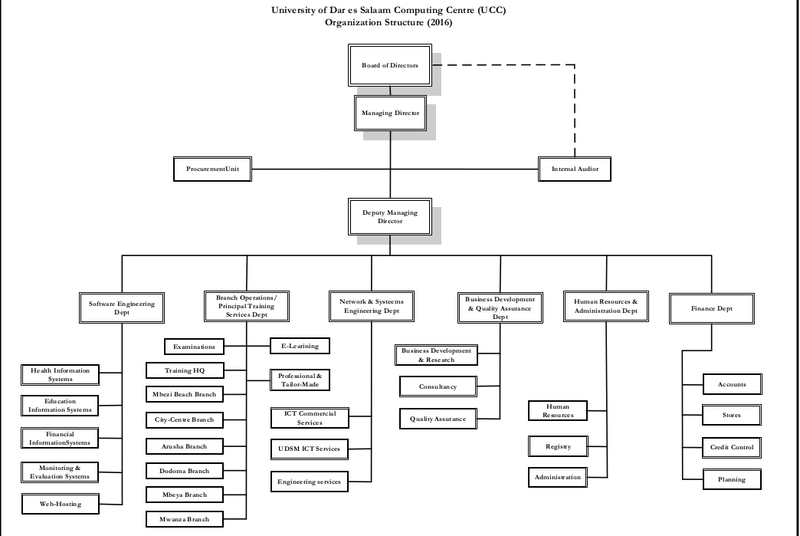 UCC has installed and manages the University of Dar-Es-Salaam's (UDSM) Information and Communication Technology (ICT) infrastructure including campus backbone network, Local Area Network (LAN), Wide Area Network (WAN) as well as wireless network and UDSM network operations centre. The company manages and supports various UDSM Information Systems; Academic Registration Information Systems (ARIS), Library information systems (LIS), Email systems, Web servers and others.